(Newser) – The New York Times is out with a story that will give President Trump one more reason to fume about Robert Mueller. The special counsel is investigating a $150,000 payment made to the president's foundation in September 2015 by a Ukrainian tycoon. 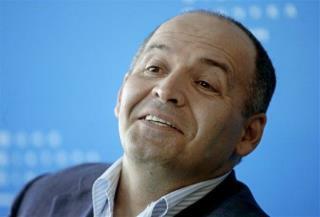 Billionaire Victor Pinchuk made the payment to the Donald J. Trump Foundation after Trump gave a 20-minute speech by video to a conference in Kiev. The payment is "curious because it comes during a campaign and is from a foreigner and looks like an effort to buy influence," the former head of an IRS division that oversees tax-exempt organizations tells the newspaper. Plus, he adds, that's a lot of money for a 20-minute speech. What Clinton Foundation got $$$$ from Ukrainian oligarch. Oh Trump Foundation... never mind. Leave it to a liberal news site to not mention that the Clinton's received 13 MILLION dollars from him while Hillary was Secretary of State. Just happen to forget that, did you Newser?